The investigation of schizophrenia is now a multidisciplinary enterprise. But many researchers remain unaware just how much the psychological investigation of schizophrenia is critical to the concept’s development. Since its inception by Eugen Bleuler (Bleuler, 1908) schizophrenia has been subject to constant psychological investigation – by both psychologists and psychiatrists. And by the middle of the twentieth century, near the height of the influence of psychoanalysis, schizophrenia was considered by many in the field of psychology and the American Psychiatric Association as principally a psychological or psychogenic disorder: not a disease. history of psychology. So such a declaration alone ought to hint at the extent to which the conceptualisation of schizophrenia and psychological research were intimately entwined. Indeed, by 1911, Bleuler had already used psychoanalytic techniques on his patients and his descriptive pathology is laden with observations of psychological processes inspired by Freudian thinking. Later schizophrenia researchers would embrace Freudian thought even more – most notably applying ideas of regression to the concept. Under Bleuler’s directorship, the Burghölzli asylum in Zurich, in conjunction with the psychiatric clinic at the University of Zurich, was also a hotbed of psychological experimentation. Carl Jung’s Studies in Word Association is one example (Jung, 1906/1969). In 1914 Jung declared that he and his colleagues had, ‘entirely abandoned the anatomical approach in our Zurich clinic and have turned to the psychological investigation of mental disease’ (Jung, 1914/1972, p.162). Hence in Burghölzli, people like Carl Jung, Franz Rilkin, Ludwig Binswanger, and Emma Fürst carried out word association tests on people diagnosed with disorders such as dementia praecox, and not just ‘normals’ (Jung, 1906/1969). One reason for this was that Bleuler himself thought that the tests could be used to diagnose and hopefully classify dementia praecox (Bleuler, 1906/1969a, p.6). It is no surprise then to find Françoise Minkowska working and experimenting as a psychologist alongside Bleuler in 1912 (Minkowska was the partner of psychiatrist and Russian émigré Eugen Minkoski, who proselytised for Bleuler in France). Neither is it a surprise that the first student to write a thesis on schizophrenia, a former patient Sabina Spielrein, received her doctor’s degree in 1911, for a dissertation The Psychological Content of a Case of Schizophrenia. There was nothing idiosyncratic about this research agenda. From as early as 1908, the Journal of Abnormal Psychology similarly carried reports concerning the investigation of dementia praecox, a concept intimately related to schizophrenia, via apparatus such as the Marey pneumograph, the kymograph, and the Depez-d’Arsonval mirror-galvanometer. And schizophrenia research quickly follows thereafter. The emergence of the concept of schizophrenia occurs in and alongside an atmosphere of intensive psychological theorisation and investigation of the disordered mind. However, Brill’s comment is misleading with respect to Emil Kraepelin’s work. As a former student of Wilhelm Wundt, Kraepelin had already attempted to bridge the gap between psychiatry and Wundtian psychology (Richards, 1992). And as such, Kraepelin had himself already carried out many psychological tests on dementia praecox derived from Wundt’s laboratory (Kraepelin, 19/13/1919; Blumenthal, 1975/2002). For example, speaking of attention in dementia praecox, Kraepelin noted, ‘In psychological experiments the patients cannot stick to the appointed exercise’ (Kraepelin, 1913/1919, p.6). And elsewhere he provides graphs of his experiments in mental efficiency in dementia praecox (Kraepelin, 1913/1919, p.24). The fact that Kraepelin had little time for Freud (Kraepelin famously rejected Freudian thinking as castles in the air) did not mean he had no time for psychology. Many of his observations on dementia praecox are informed by psychological research. Indeed, on account of his contributions, historian Gregory Zilboorg declared Kraepelin to bea physiological psychologist (Zilboorg, 1942). up the way to, ‘astonishing treasures of psychological knowledge’ (Kretschmer, 1925/1999, p.152). And it can be said with confidence that those who still care to re-read the early descriptive psychopathology of schizophrenia for its psychological insights will easily find such treasure. So why are these ‘treasures of psychological knowledge’ not better recognised? First, up to around 1980, historians of psychology and psychiatry practised what is known as a heroic approach to history. In such an approach, a history of psychology is a history of psychologists and the work they do. And history of psychiatry is a history of psychiatrists and the work they do. By this logic since Eugen Bleuler (like Kraepelin) was a psychiatrist, and it was he who coined the term schizophrenia, historians of psychology and historians of psychiatry viewed schizophrenia as falling under psychiatry. Complementing the heroic issue, in the first half of the 20th century most people diagnosed with schizophrenia were largely confined to and investigated in institutions dominated by psychiatrists – even though psychologists also worked in the same buildings. Thus, early reports of psychologists working in this area sometimes include a brief note of gratitude to a psychiatrist or institution for allowing access to the patients. With psychiatric control and authority came a sense of expertise and ownership of both patients and their disorder. Only later did people diagnosed with schizophrenia begin to be seen in a more organised way outside these institutions and in the community by all sorts of professions. However, by that time, the feeling that schizophrenia was a psychiatric concept was ingrained, a fact reflected in the lowly status of psychologists in DSM formulations of the concept ever since (McNally, 2009). of generations of psychologists particularly between the two world wars. What he claimed as the territory of psychology, psychologists and many historians of psychology largely accepted. Therefore, when his 1929 work A History of Experimental Psychology (Boring, 1929) fails to mention the concept of schizophrenia, which was then only 21 years old, future historians of psychology apparently followed this example and omitted the subject. It is widely accepted that Boring’s work presents a narrow view of the field of psychology. Yet the omission remains curious. Boring wrote about events in experimental psychology after the inception of schizophrenia in 1908, so it was not the novelty of the concept per se that bothered him. Moreover, Boring was aware of an experimental tradition in this area. He himself had carried out detailed experimental psychological research on dementia praecox while at Cornell in 1913. Some of Boring’s research titled ‘Introspection in dementia praecox’ had been written up and published in the American Journal of Psychology (Boring, 1913a). Similarly, another piece of work, ‘The course and character of learning in dementia praecox’ was also published that same year (Boring, 1913b). In addition, Boring’s history favoured experimental psychology (O’Donnell, 1978/2002), in so far as it could be characterised as pure and not applied (hence the title of Boring’s work). And it was precisely both kinds that schizophrenia researchers in Zurich and elsewhere were conducting in the realm of the abnormal. So Boring’s omission is somewhat difficult to understand. It is possible that Boring simply did not think the topic important enough. However, the further association of schizophrenia with psychoanalysis may also have been problematic. Psychoanalysis was not always seen as a science. And it would not have helped that Boring himself had a failed experience with psychoanalytic treatment – a still yet unexplained course of action that paradoxically went against his own apparent dislike for it (Hornstein, 1992/2002). In addition to disliking psychoanalysis, Boring is known to have harboured a general dislike for abnormal psychology per se, which schizophrenia certainly falls under. David Shakow, a major schizophrenia researcher, and clinical psychologist (working with schizophrenia from as early as 1928) described how his recognition as a Harvard undergraduate that abnormal psychology was not always accepted as part of psychology was felt most poignantly in a seminar held by Boring himself (Shakow, 1977/2002). For Shakow abnormal psychology and clinical psychology, which he traced to 1896, had to fight for recognition as part of the history of psychology. Finally, the fact that Boring wrote about his subject matterin a quasi-heroic mode favouring the work of the psychologist over the psychiatrist would have augured somewhat against schizophrenia. 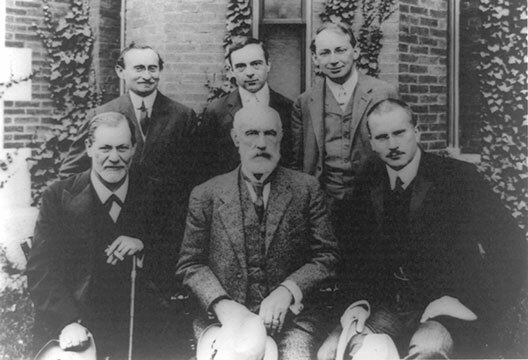 Major early figures, such as Eugen Bleuler and Carl Jung, were psychiatrists not psychologists. All this may have contributed to Boring’s unwillingness to acknowledge the role of psychology in early schizophrenia research. And it may explain why much remains to be documented. This brief sketch illustrates that there is clearly no reason to think of psychology as a secondary endeavour or an addenda to schizophrenia research: it is core to the conceptualisation of the concept, and always has been. It is a history with insights worth recovering, acknowledging, and utilising. schizophreniegruppe. Allgemeine Zeitschrift für Psychiatrie und Psychisch-Gerichtliche Medizin, 65, 436–464. Boring, E.G. (1913a). Introspection in dementia praecox. American Journal of Psychology, 24(2), 145–170. Boring, E.G. (1913b). The course and character of learning in dementia praecox. Government Hospital for the Insane Bulletin, 5, 51–80. Boring, E.G. (1929). A history of experimental psychology. London: Appleton Century. Brill, A.A. (1909). A case of schizophrenia (dementia praecox). American Journal of Insanity, 66, 53–70. Danziger, K. (1990). Constructing the subject. New York: Cambridge University Press. Kretschmer, E. (1925/1999). Physique and character: An investigation of the nature of constitution and of the theory of temperament. London: Routledge. McNally, K. (2009). A history of the concept of schizophrenia. Doctoral dissertation, University College Dublin, Ireland. Richards, G. (1992). Mental machinery. Part 1: The origins and consequences of psychological ideas from 1600 to 1850. London: The Athlone Press.